Cusstom Heirloom Display Table built to customer specifications. Display your collectibles. This customer displayed his arrowheads. 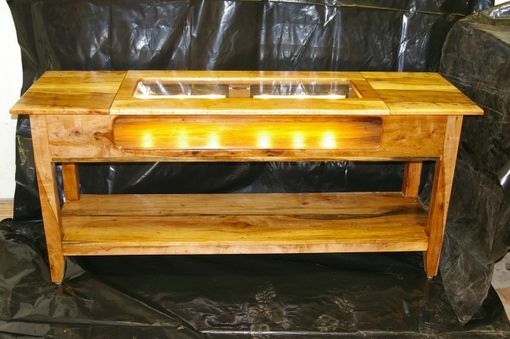 The table is made of solid pecan and has a glass top opening about 12x37. Also has glass on the front that is about 6x42. It has accent lighting.